Updating your Swimming Pool surrounds. 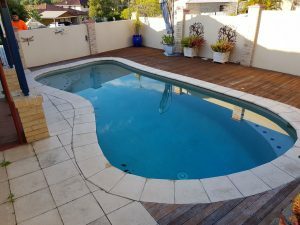 The best time to update your swimming pool surrounds is in the cooler months when you are not using it. The new surfaces laid can set properly, the new plants can flourish and the new landscape can set your home ready for the summer season to hit. 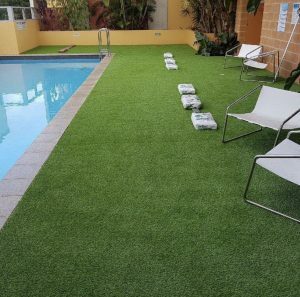 Queensland have set pool safety regulations which are a safety standard for any property with a swimming pool. 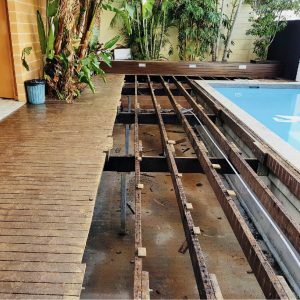 Government pool safety regulations cover such things as the height as well as strength of fencing barriers, gates and latch regulations and required safety for the access into the pool area. 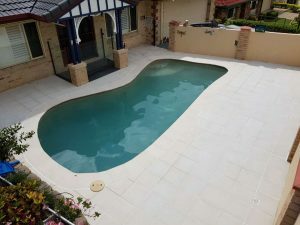 Pool safety must also be considered when thinking about updating your pool surrounds, not only do you want the swimming pool landscape to complement your home and be a welcoming aesthetically please, you also don’t want anyone running and slipping on a wet surface. To make sure your swimming pool surrounds and updates are exactly what your home needs, speak with a professional.